World COPD Day - COPD, a disease still underestimated by Europeans: absence of perceived risk, according to Eurisko survey. Only 16% of those interviewed believe they may be at risk, even if the disease is considered serious or very serious in almost all cases (95%). On average 36% of those who claim to have heard about COPD make reference to the media (radio and TV in particular) as their main source of information. Only about 5% received this information from a doctor. The complexity of the treatment is a key factor preventing patient compliance to the therapy: 25% claim that they are occasionally unable to take all the drugs they are prescribed. Parma (Itay), November 21 2018– Chiesi, an international research-focused healthcare Group (Chiesi Group), presented today data relating to the awareness and perception of Chronic Obstructive Pulmonary Disease (COPD) among Europeans on the occasion of the World COPD Day. The results were generated from research conducted by Eurisko Gfk entitled “COPD: knowledge, experiences and impact on quality of life”. The survey was carried out on both the general population and those affected by the disease, and involved 5 European countries (Italy, Germany, Spain, the UK and Belgium) on a sample of 4,250 people aged 18 or above. Chronic Obstructive Pulmonary Disease (COPD) is a debilitating progressive respiratory condition, which has serious consequences both from a medical and financial point of view. It affects millions of people worldwide and causes high levels of morbidity and mortality. The lack of knowledge regarding risk factors and symptoms associated with the disease means that this health problem has been underestimated and insufficiently diagnosed. According to the World Health Organisation, COPD caused 3 million deaths in 2106. In Italy, according to the Istat (the Italian National Statistics Institute), the disease affects 5.6% of adults (around 3.5 million people) and is responsible for 55% of deaths due to respiratory disease. Nevertheless, the survey highlights the fact that this disease still frequently goes undiagnosed and is therefore underestimated. The perception of risk associated with COPD still remains low among the general population, even if people are aware that it is a serious disease and that a healthy lifestyle and medical check-ups should prevent it from developing. On average only 16%of those interviewed consider themselves to be at risk, despite being aware of the severity of the disease(95%). Smoking and pollution feature among the main risk factors with respective percentages of 80% and 54%. Lastly, the low level of risk perception is accompanied by limited knowledge in those affected by the disease:84%of those interviewed do not know anyone suffering from COPD. Italy is trailing behind with a percentage of97%. On average, 36% of those claiming to have heard about COPD make reference to the media(radio and TV in particular) as their main source of information. For Spanishinterviewees, the percentage rises to 56%.Clinicians play a secondary role in providing information: the average percentage of patients seeking advice from a doctor stands at around 5%, peaking at 15% in Belgium. Looking in more detail at which doctors patients consult: 60% see their family doctor, whereas 39% a lung specialist. The only exception: Great Britain where only 10% of those interviewed consult a specialist. Doctor/patient communicationis considered fundamental for most of the interviewees: on average 82%of patients state that qualities such as humanity and the ability to listen are key to the choice of doctor. Skills and expertise take second place with 81%. In doctor-patient interaction, the doctor uses the available medical language and the patient understands what they can, depending on the cultural and linguistic instruments they possess. The media, specialists and GPs experience the same ambiguity. University of Ferrara Director, Respiratory Unit, Emergency Department– We are often unable to convey to patients, or those at risk, key information regarding the disease, which mainly appears to be broadcast by the mass media. It is therefore not surprising that the disease is misunderstood and inadequately perceived as a clinical situation to be identified, classified and treated on a continuous basis. It also comes as no surprise that compliance to therapy is particularly low if checks are not repeated on the correct use of inhalant devices at every appointment. There is thus a need to be more incisive with regards to the diagnostic and therapeutic path of patients with COPD in order to obtain the significant clinical results which the currently available therapeutic options enable us to reach." The general population believes that COPD can be kept under control with a drug, but that it cannot be cured (33%). Only 6%claim that it can be treated and cured. Among those who are already undergoing treatment: on average 35% take a single drug(50% of Italians), whereas 23% of those interviewed take 3 or more drugs. Having to manage more than one drug affects compliance with treatment. In particular 25% state that they are occasionally unable to take all their drugs.The complexity of the treatment therefore represents a key element which reduces compliance to treatment. 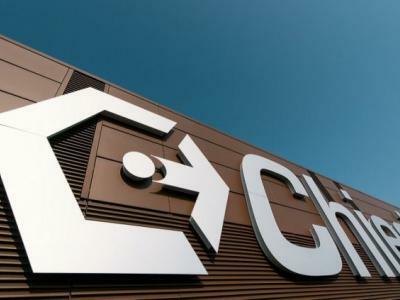 Based in Parma, Italy, Chiesi is an international research-focused Healthcare Group, with over 80 years of experience in the pharmaceutical industry, present in 26 countries. Chiesi researches, develops and markets innovative drugs in the respiratory therapeutics, specialist medicine and rare disease areas. Its R&D organisation is headquartered in Parma (Italy), and integrated with 6 other key R&D groups in France, the USA, the UK, Sweden, and Denmark to advance Chiesi's pre-clinical, clinical and registration programmes. Chiesi employs more than 5,300 people.